Israeli police officers abducted, on Saturday morning, a Palestinian novelist after she finished writing her latest work dubbed “The Jackal’s Trap,” talking about informants and collaborators, spying on their own people. 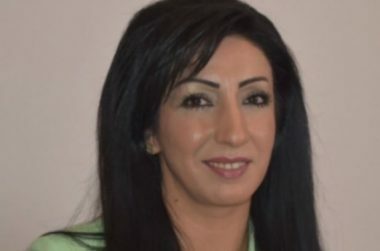 The Palestinian novelist, identified as Khaleda Gousha, was abducted after the police and soldiers stormed her home, in Beit Hanina neighborhood, north of occupied Jerusalem. Khaleda’s business manager, Amani Abdul-Karim, said Khaleda was moved to an interrogation facility in Nevi Yacov illegal colony, built on illegally-confiscated Palestinian lands, owned by Beit Hanina residents. She added that Khaleda called her colleagues from the interrogation center, and informed them that she needs a lawyer to represent her. Khaleda said that she was officially informed that the reason behind her abduction and interrogation is her latest Novel, The Jackal’s Trap, which she intends to publish this coming October. The novel tackles the subject of informants, and collaborators with the Israeli occupation and its security services, by spying on their people.